We’re excited to announce that Ballroom Connection will be at the Spartan Invitational Ball with shoes and dancewear for your shopping pleasure! Ballroom connection is the leading dancewear merchant in the Bay Area, and we’re very lucky to have them attending our ball. For those of you who want to request items to look at on the twentieth, Ballroom Connection has made a form where you can request types of items to see. They’ll even put shoes on hold for you! Make sure to check out their table between rounds. The donation page is now live! The competition location page has bee updated with suggestions of places to eat on competition day. Don’t see anything you like? Yelp is your friend! Hope everyone had a great summer! Our first meeting will be today, August 29, in the multi-purpose room (downstairs in the gym, where racquetball rooms 1 and 2 used to be). Come by at 4pm to meet our coaches and to start planning for the fantastic semester we’re going to have. Registration For The Spartan Invitational Ball Is Now Open! Check out O2CM and register now! For information about payment, see the payment page. 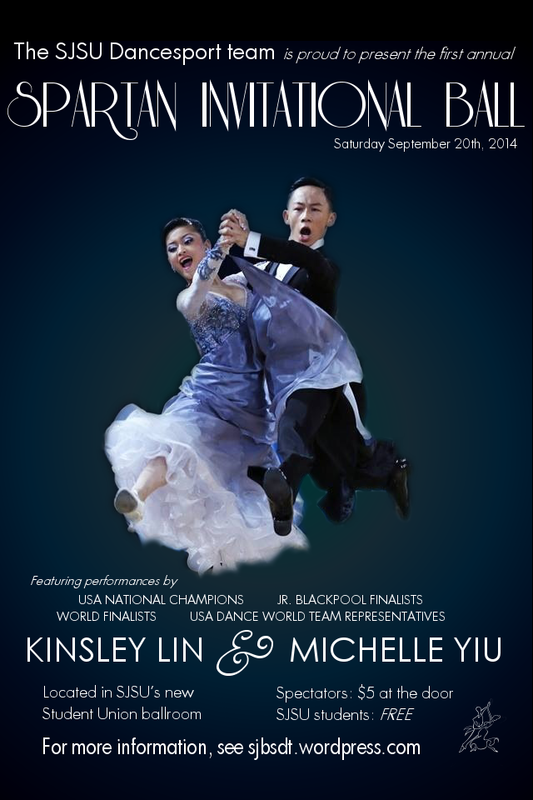 Information about the Invitational Ball has been updated! Check out the new pages and start working on your winning strategy! Also, take a look at our upcoming events page for a quick glance at this year’s competition schedule. Anything new catching your eye? It’s going to be a great year! 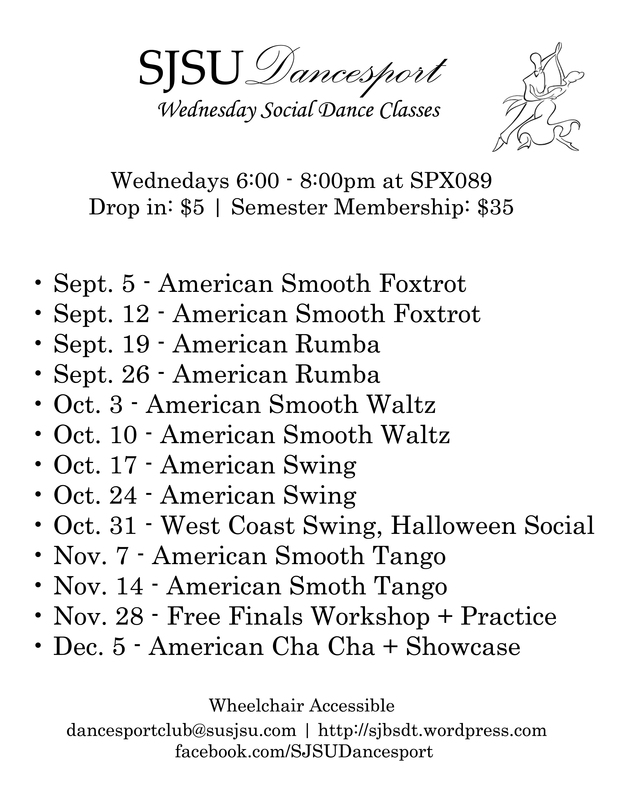 Fundraiser Classes are underway again and this semester they will be held in SPX 89 on MONDAYS AT 7:30, there will be a different class taught every week and we will keep you updated prior to each lesson.